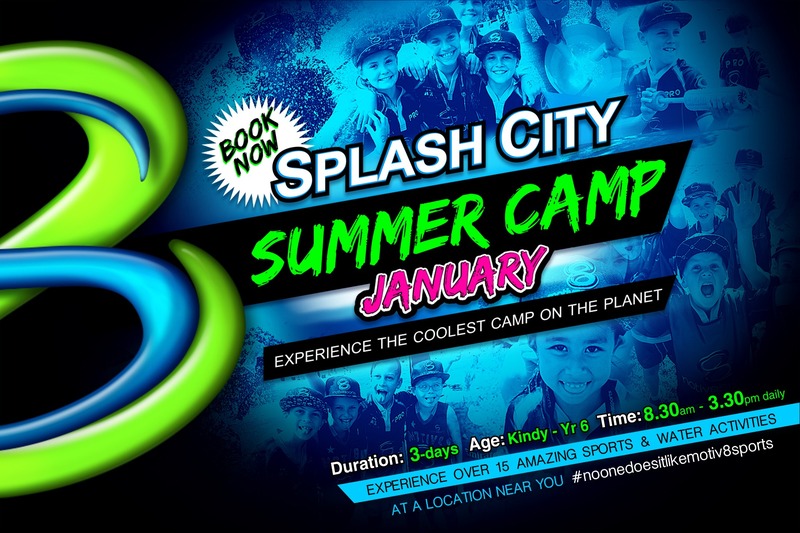 NON STOP FUN, NON STOP WATER... SPLASH CITY IS HERE! 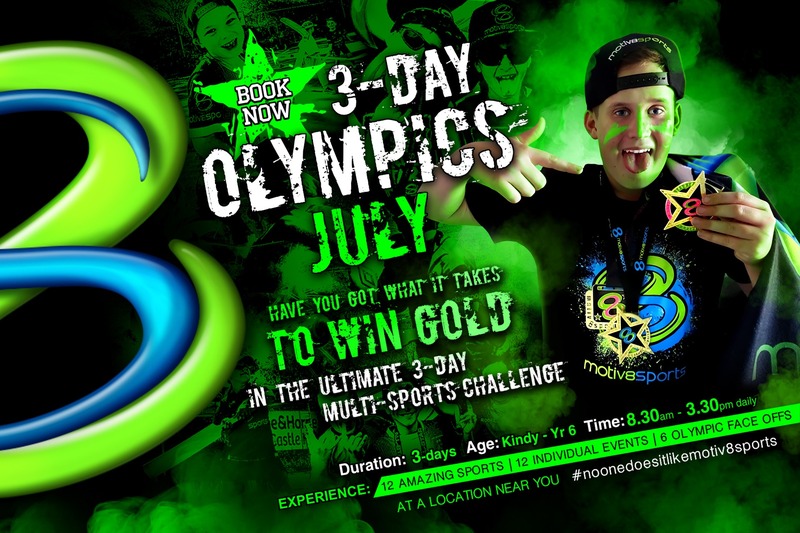 My son, Sam, had the best time at Motiv8sports this week. You guys have amazing energy and chemistry and to watch the kids respond in kind is truly amazing. IT'S NOT JUST A CAMP... 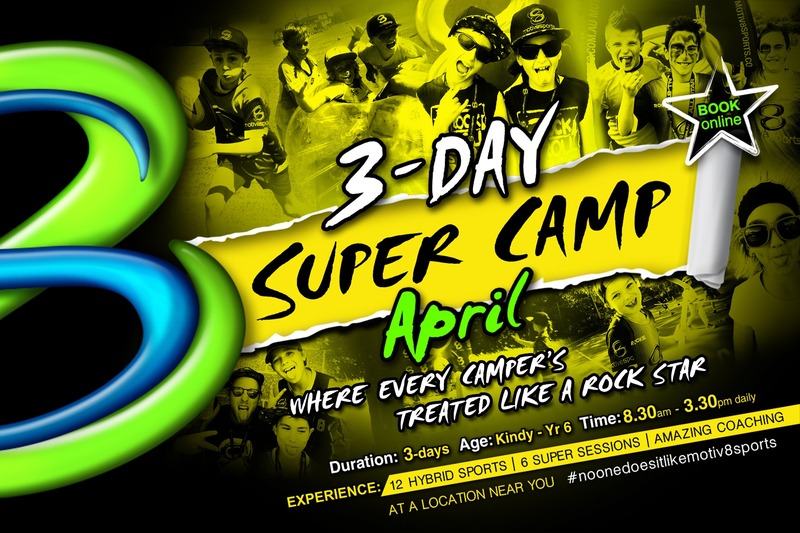 IT'S A SUPER CAMP! THE OLYMPICS ARE COMING... GET YOUR GAME ON! PLACES ARE LIMITED AND CAMPS BOOK OUT FAST. DON'T MISS OUT! BOOK TODAY. Get MEGA motivated for this 3-day multi-sports showdown. Campers will compete for the EASTSIDE or WESTSIDE All Stars title - earning points over the 3-days to be crowned Mega Camp champions. 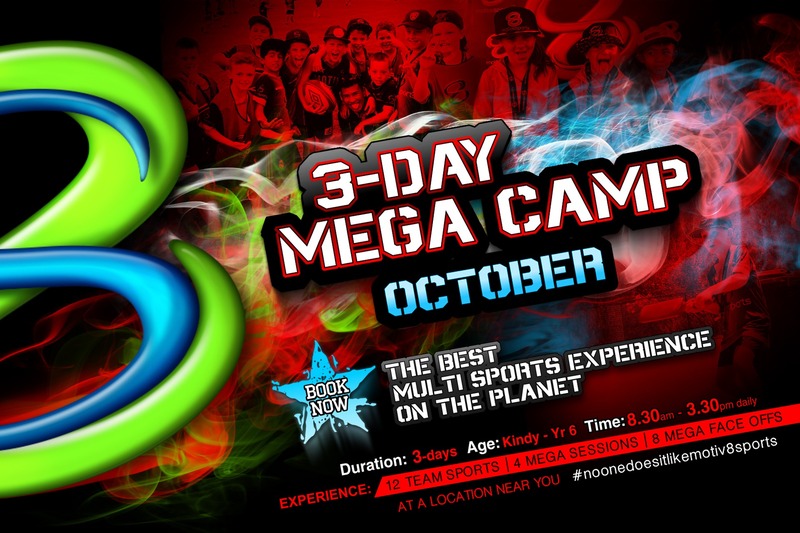 With our trademark array of non-contact sports and team building challenges, this is sure to be the best three days of your holidays.